Lucasfilm’s long-rumored Boba Fett standalone movie is no longer happening, according to Kathleen Kennedy. The fan-favorite bounty hunter has been one of the most popular Star Wars characters since his big screen debut in The Empire Strikes Back – despite his minimal screen time in the original trilogy. Boba’s backstory was fleshed out in Attack of the Clones and the Clone Wars animated series, but many viewers were interested in seeing him headline one of the upcoming Star Wars movie spinoffs. After a planned project with Josh Trank fell apart, it looked like Boba Fett was picking up steam earlier this year when Logan director James Mangold reportedly became attached. However, that development broke right before Solo: A Star Wars Story underwhelmed at the box office, forcing Lucasfilm to re-evaluate their strategy moving forward. In the wake of this summer’s installment becoming the first Star Wars movie to lose money, it was said future anthologies centering around individual characters were being put on hold. This put the status of Boba Fett into question, and now it looks like the movie is effectively dead. While this news will be disappointing to some, it isn’t all that shocking this is the case. Admittedly, the brief synopsis for The Mandalorian (a lone-gunman type traverses the underworld of the Outer Rim) reads on-paper as set-up for a Boba movie. It wouldn’t make much sense for the studio to pursue two similar projects simultaneously (especially given the expansive nature of the Star Wars universe), so the TV show won out. This isn’t to say Lucasfilm won’t revisit the possibility of Boba Fett at some point down the line, but it’s no longer a priority for them. Arguably, this could be for the best, as Star Wars mythology will continue to expand with The Mandalorian, introducing new characters for audiences to get attached to. There was growing concern in some circles Lucasfilm was looking at the wrong Star Wars stories, so it’s encouraging they’re going in this direction. 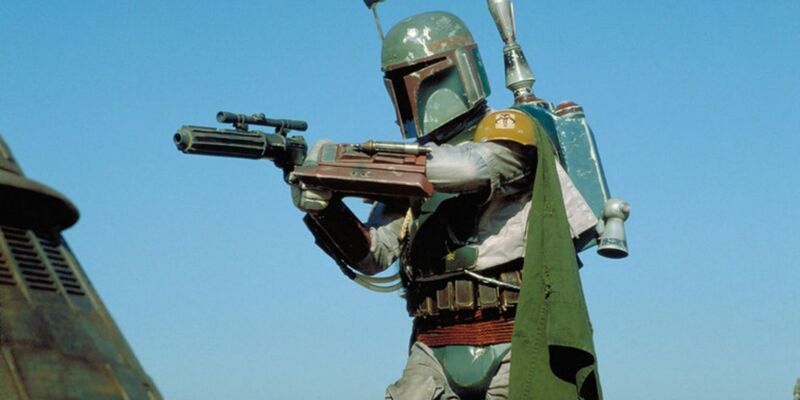 It’s also worth mentioning the studio never officially confirmed a Boba movie was coming through the pipeline. Kennedy apparently did not comment on the status of other rumored spinoffs, such as the Obi-Wan film. However, the safe money (for now, anyway) would be on these not seeing the light of day. Once Episode IX premieres next December, Disney is going to slow things down on the Star Wars movie front, as new series from Rian Johnson and David Benioff & D.B. Weiss are developed. After a slate primarily defined by original trilogy nostalgia, Lucasfilm looks to be opening up to new horizons, a necessary step if Star Wars is to maintain longterm viability. As for Boba Fett, maybe a novel or comic will further explore his adventures.